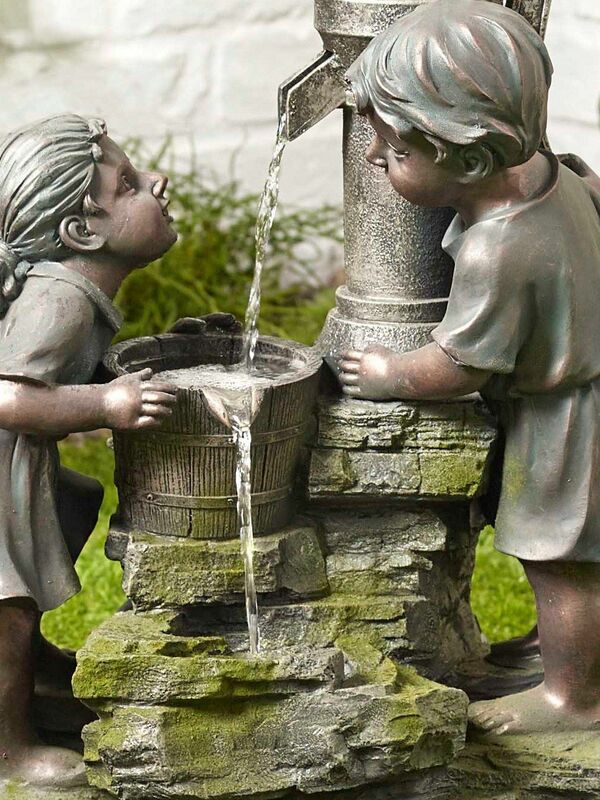 Kelkay Playtime Easy Fountain will enhance any garden. 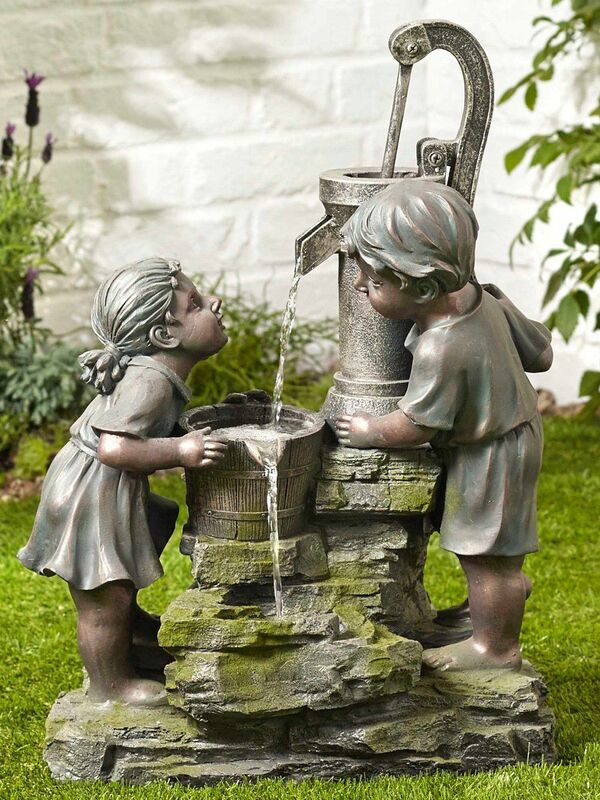 Made from durable, lightweight poly-resin, with detailed sculptured bronze coloured figures enjoying playtime at the water pump. Water gently cascades from pump to bucket to pool at base.